Recent statistic published on Love Money has revealed that one in three of those who take out a balance transfer credit card fail to repay it within the interest free introductory period. Rather more worryingly the average outstanding debt at the end of the interest free period is £2,400 moreover 20% borrowers lost their interest free deal because they’ve broken the terms of the agreement. Naturally, the idea behind balance transfer cards is that they help the borrower to consolidate their current debt without paying any interest. The provider will charge a small fee which is likely to be around 3% of the balance. By failing to repay the balance within the 0% interest period you will not only incur interest from that point onwards, but you’re essentially costing yourself the balance transfer fee for no reason. 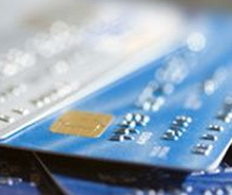 The way you manage your card is integral to ensuring that you don’t run into further problems in the future. In order to ensure success you need to do the calculations. Firstly, you need to calculate how much debt you currently have and how much you subsequently need to transfer. Add up the outstanding balances on your current credit and store cards; this is the balance that you’ll need to transfer. When applying for a balance transfer card there are a number of things you need to look out for. Firstly there’s the interest free introductory period, different providers will have different interest free periods. Currently the market leading card offers a 30 month interest free period however this will be reserved for those with an immaculate credit history and a high level of income. You also need to look at the balance transfer fee; although this is only likely to be a matter of 1 - 5%, if you’re transferring a large balance you’re going to want to keep it as low as possible. Prior to filling in an application it is always a good idea to read the criteria. This will ensure that you don’t run the risk of wasting an application, getting declined and subsequently lowering your credit score. Having made a decision on the card you are applying for your next job is to do some calculations. You first need to take the amount you are transferring and divide it by the amount of interest free months available. So if you’ve got £3000 worth of debt and your card has an interest free period of 24 months you need to clear at least £125 each month to ensure that you don’t incur any interest. One way of ensuring that this amount is always paid is to set up a direct debit for £125 to be deducted from your account each month. Setting it up to be paid the day after your payday will ensure that it is at the top of your priorities and is never at the risk of being left unpaid. If you’re not confident that your budget allows you to afford £125, then make sure you set up a direct debit for the minimum payment amount. By doing this you will ensure that you never lose your interest free deal and risk being left in a similar position you were before you took the card out. The great thing about using credit cards as a way of consolidating current debt is that you can tweak your repayments to fit your budget. This means if one month you feel that you can make a slight over-payment then you are able to do so. Remember, the more outstanding balance you can clear on a monthly basis the quicker you’ll get debt free.